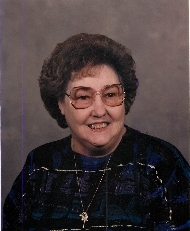 Anne Dantin obituary. Carnes Funeral Home. Anne Napoli Dantin was born on January 06, 1930 to Joseph and Mary Napoli at their home in Dickinson, Texas. She transitioned to heaven on Friday, October 13, 2017, at the age of 87, surrounded by her loved ones at Mainland Medical Center. She was preceded in death by her parents, her beloved husband, Bobby Jo, her son Edwin, four sisters, Angelina, Katie, Josephine, and Pauline, and two brothers, Leon and Dominque. Anne lived a full life that was filled with good food, love, and family. She filled her free time with cooking for her family and friends, crafting, and just spending time with her loved ones. During crawfish season, she was elated to be able to enjoy a good outdoor crawfish boil. She especially loved being with her family during the holidays, and one of the greatest and lasting pleasures of her life was being surrounded by her grandchildren, who always brought so much joy to her life. To cherish her memory, she leaves her daughters Helen Latkowski (Mark), Laura (Jimmy Wilkinson); sons Sonny (the late Theresa Dantin), Eddie (Patricia); grandchildren Bobby, Billy, Tanis, Mickey, Anthony, Jennifer, Christy, Angela, Leah, Josh, Jacob, Herbie, Edwin, Joey, and Amanda, a host of great and great-great grandchildren, friends, and other loved ones. Special Thanks to Dr. Mary Jo Godnich and the 3rd floor progressive care unit at Mainland Medical Center for their compassionate care over the years and during her final days. Active Pallbearers Billy Cooke, Josh Dean, Jacob Dean, Herbie Dodge, Anthony Murdoch, and Jordan Haynes.